Today is Ada Lovelace Day. Ada, Lady Lovelace, is widely recognised as the world's first computer programmer. Born in 1815, Ada was the daughter of Lord Byron, the poet, who abandoned Ada and her mother just after Ada was born. Probably in reaction to Byron's "poetic madness", Ada's mother insisted Ada be taught "rational" subjects, and she received tutoring from some of the finest intellects in Britain. She was, by many accounts, a mathematical whizz. Ada became a friend and collaborator of Charles Babbage, and she devised the programs for his Analytical Engine. Although Babbage's machines were never built, recent experiments have shown they would have worked, and he is regarded as the inventor of the first programmable general computer; hence Ada's honorific as the first computer programmer. She described herself as an "analyst (and metaphysician)". When I first started in IT, the gender ratio was much more balanced than it is today, largely because IT was a new industry that had to take bright brains wherever it found them. There was always a strong contingent of bright women, but over time, the gender ratio changed dramatically, and IT morphed into an male geekdom. Fortunately that's changing again, and it's fantastic to see so many female IT engineers, leaders and entrepreneurs today. The world is full of budding Ada Lovelaces. Which brings me to Ada Lovelace, IT superhero. 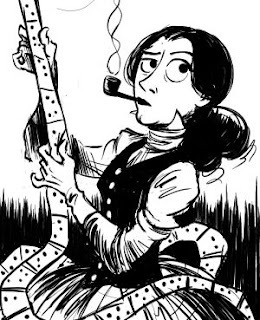 If you haven't already tried them, have a look at Sydney Padua's comic novels about Lovelace and Babbage. 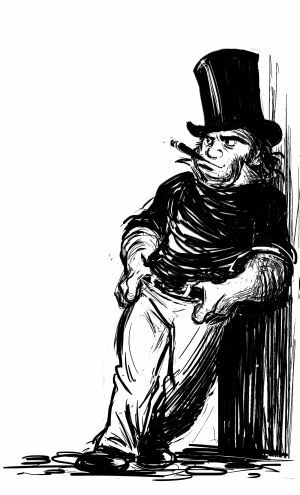 Steam punk, derring-do, Victorian melodrama, and guest appearances from the great little hero himself, Isambard Kingdom Brunel. And for the geeks of whatever gender, working animations of Babbage's computer. Enjoy.